Happy Thanksgiving! 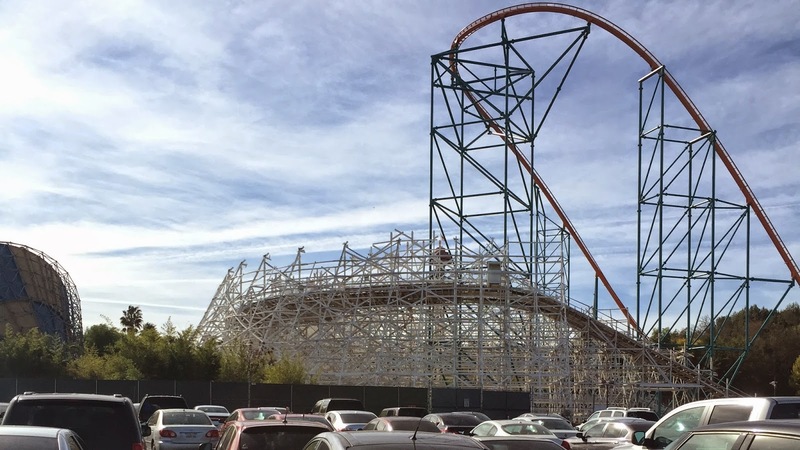 Today we take a quick peek at the Twisted Colossus Construction Site at Six Flags Magic Mountain! Most of the actual track work has been in the low parts around the station and on the lift hill, so track isn't very visible yet...But construction crews are working in full force to get this project going! Special Thanks to TPO Correspondent Grant Baxter for contributing the photos for today's update! 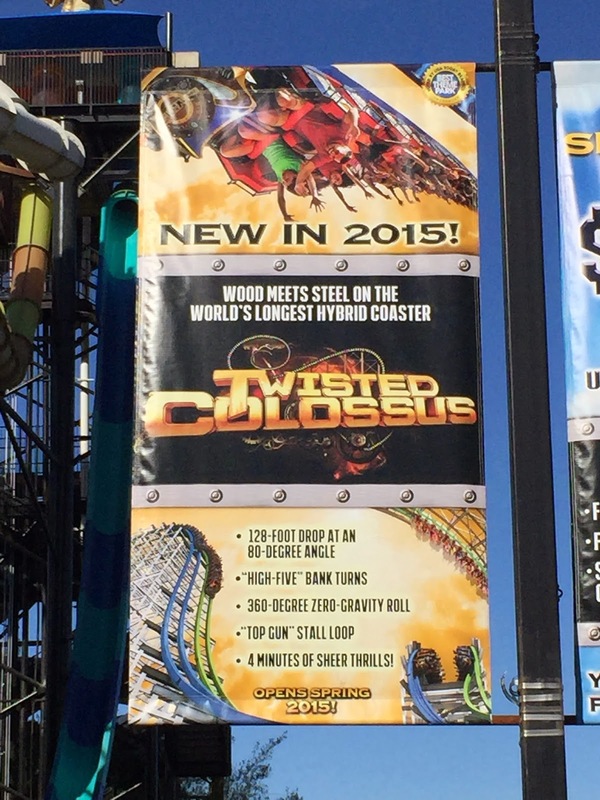 This in-park sign reads a "Spring 2015" opening, yet other advertisements state "Summer 2015". 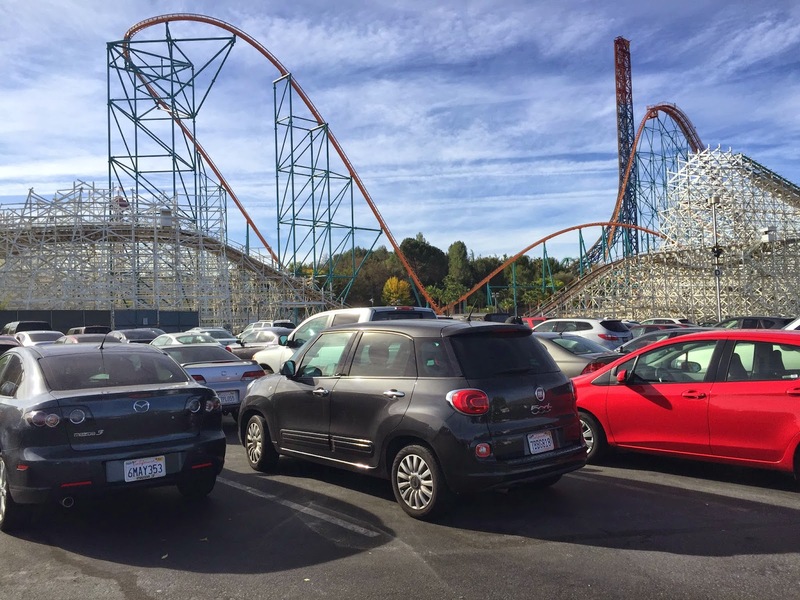 Honestly, expect a Late July opening, knowing Magic Mountain and their notoriously slow construction. 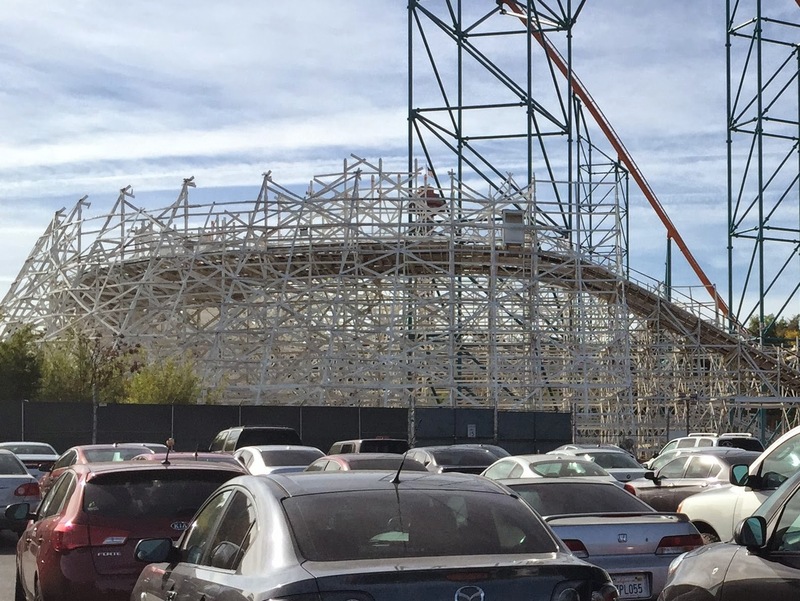 Here's the current state of the historic coaster. They've begun removing the entire top section of track from the first turnaround. A closer look shows the precision they've performed while removing the old wood. 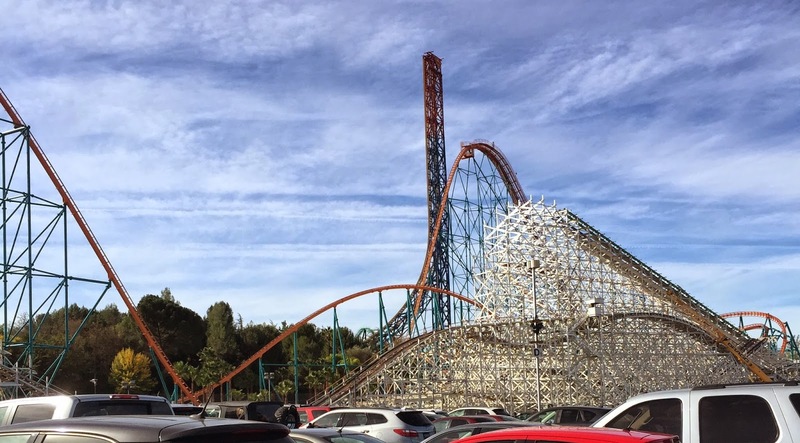 All the track from the first drop has been removed. The top part of the structure that incurred fire damage earlier this year and needed to be replaced is done, with the fresh wood painted to match the surrounding structure. I'd guess that this drop will be tracked very soon. Told you it was quick! Make sure to "LIKE" our Facebook page to have Exclusive Photos and Live In-Park content delivered straight to your news feed! www.Facebook.com/ThemeParkOverload My name's Nicholous, and Thanks for Reading!